In the last tutorial, we went through the process of setting up our own Glide module to use a custom HTTP client, which accepts self-signed HTTPS certificates. This week, we stay on a low level and look at options to customize the caching components of Glide. Hopefully, you've read the caching basics and Glide modules posts. Otherwise some of the following code might look like magic to you. If you're ready to go, read on. Alright, since we're customizing Glide, we'll need to create a new Glide module. As you've seen in the previous tutorials, the applyOptions method gives us access to the GlideBuilder object. 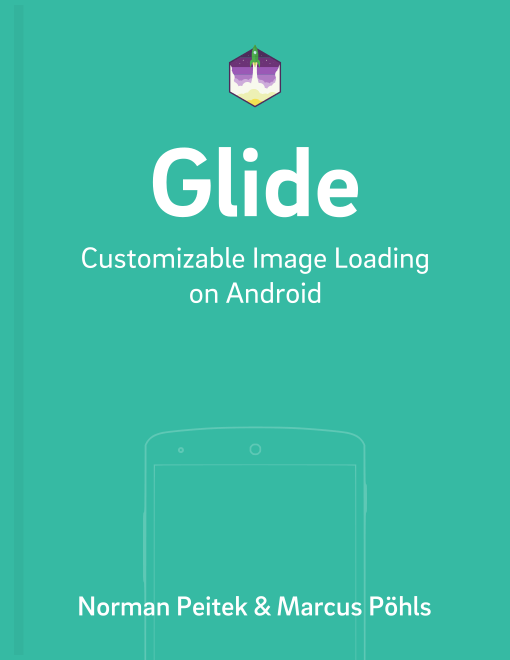 The GlideBuilder offers us several methods to customize Glide's caching. First, let's look at the memory cache. The memory cache keeps the images in the device's RAM. There is no IO action going on and thus it's very fast. The flip side is that the size of the RAM is quite limited. Finding the right balance of keeping a large memory cache (space for many images) versus a small memory cache (minimize our app's hunger for resources) is not easy. Glide internally uses the MemorySizeCalculator class to determine the size of the memory cache and the bitmap pool. The bitmap pool keeps the images allocated in your app's heap. The correct size of the bitmap pool is essential as well, since it avoids too many re-allocations of images and thus makes the garbage collector's life easier. As you can see from the last two lines in the applyOptions() method, we can't set the size directly. We're creating an instance of the LruResourceCache and the LruBitmapPool class. Both are the default implementations of Glide. Thus, if you only want to adjust the size, you can just continue to use them by just passing a different size value to the constructor. The code above would set the disk cache to the app's internal directory and also set the maximum size to 100 megabytes. The line, which is behind the comment slashes, would set the disk cache to the external directory (and also set the maximum size to 100 megabytes). Use the upper option to set a directory directly. The bottom option would create and use a directory inside your passed directory path. As always, the last parameter is the size of the cache in bytes. So far, we've shown you how to move and set the cache to certain sizes. However, all calls referred to the original implementation of the caches. What if you have your own cache implementation? In this tutorial, you've seen how to change and customize Glide's caches. Glide's default implementation is well-rounded, so make sure you've reasons to change things. If you do change something, make sure to test it on a range of devices! In the next tutorial, we'll look at another Glide module topic. We'll look at how to implement a component, which requests the images in the exact size of the target ImageView. We promise, it'll be good!